uPVC Sheet Closures are used to protect and finish the end of the polycarbonate sheet (or glazing panel) at the gutter end of the panel. It is designed so that a 2mm air gap is created between the end of the panel and the inside of the sheet closure. The sheet closure does not negate the need for breather/anti-dust tape at the gutter end of the panel. The sheet closure should be cut to fit between glazing bar top caps. Ensure that the ends of the Glazing Bars are flush with the sheet closure. The closure can be clipped all along the bottom of the glazing sheet. It is advisable to apply a bead of silicone to the upper edge of the sheet closure (all along, underneath the top edge). 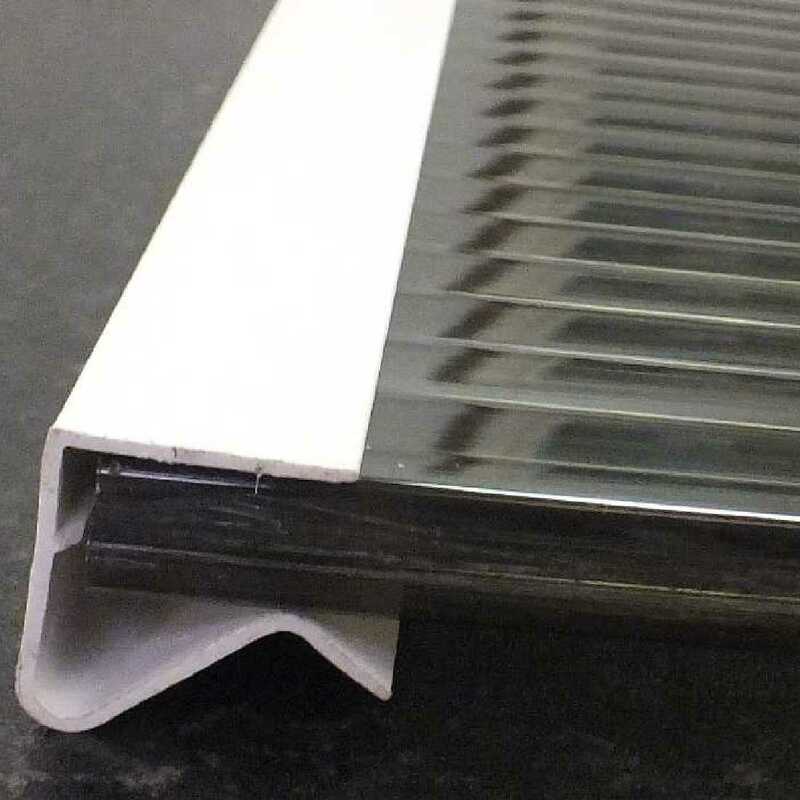 The sheet closures come in 2.1m lengths in White and Brown and are supplied to suit the range of polycarbonate sheet thicknesses:10mm, 16mm, 25mm, 35mm. I would recommend your affordable products (Glazed Roof Components | Glazing Bar Accessories | uPVC Sheet Closures for 10mm thick glazing, 2.1m) to anyone else considering this product, as it has been superb. Omega Build Shop | Glazed Roof Components | Glazing Bar Accessories | uPVC Sheet Closures for 10mm thick glazing, 2.1m. You are viewing Glazed Roof Components | Glazing Bar Accessories | uPVC Sheet Closures for 10mm thick glazing, 2.1m, buy online today!